As you all may know, ASMLib is a recommended module for Oracle databases running on Linux platforms and it is an embedded module for UEK (Oracle Unbreakable Kernel) users. Oracle announced that (two years ago or so) they will no longer maintain ASMLib for Red Hat compatible kernel but this does not mean that they abandon the project, rather it is mainly related to the effort they need to put in maintaining the module for multiple kernel versions. A while ago, Oracle added a new feature to ASMLib allowing ASM devices to choose between physical or logical block sizes in I/O operations. This should be, I believe, a fail-back mechanism for SSD devices used as ASM disks. Many SSD devices use 4K block size however Linux still uses default 512 bytes logical block size for those devices in the same way it does for motor disks. In early releases of ASMLib (oracleasm-support-2.1.7 and earlier), ASM uses physical block size (4K for SSDs). This is still the default behavior in oracleasm-support-2.1.8 but now sysadmin can choose between physical and logical blocksize by using [-b|-p] switches in oracleasm-configure.sh script. Those switches set /sys/module/oracleasm/parameters/use_logical_block_size which is default to be false (use physical blocksize). So that asmlib module can use the value to decide which block size to use. 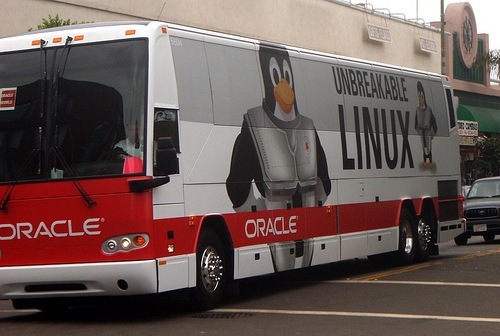 Now you can start your Oracle Linux on VM*. Once you are done with disk partition modification rebounce Oracle Linux to ensure partition tables are read by Linux. * Before starting it is a good decision to protect your existing VM guest by using VMware snapshots. It is a joy to use Linux for any purpose. Although Oracle Linux is mainly designed for enterprise stack, a stable operating system for a technical user is always a need. Download latest Firefox release from Mozilla web page. Then unpack and install it by simply following. Using VMware Virtual Machine menu choose Install VMware Tools option which will mount a pseudo device. 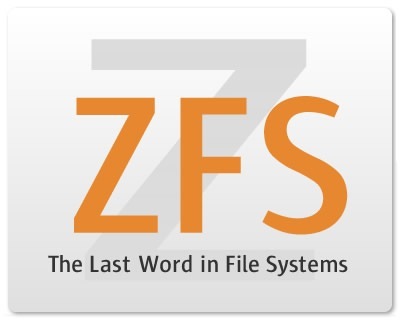 ZFS (Zeta File System) is my favorite storage solution for Oracle databases (in some later post I may explain why) after ASM. Although ZFS is shipped with Solaris and Open Solaris, it is also possible to use (at least taste) it with FUSE file system in your favorite Linux distro. You can find how to use ZFS on your Ubuntu in ZED House (The ZFS on Linux with FUSE) article at Linux Pro Magazine (June 2009). One problem for Oracle Enterprise Linux (or Red Hat if you like) distro in using ZFS was that FUSE was not shipped (and supported) until 5.4 which is the latest update. By now you can choose to install FUSE modules (development libraries, kernel & user modules, and management tools) and use any FUSE file system in your system. It might be a bit tricky to enable ZFS on OEL 5.4 if you have no experience on FUSE, ZFS and Linux stuff. I will try to explain the installation step by step. In this post I will not dive into demos of ZFS which is available in Open Solaris related page. Since it is totally out of this post’s scope, I will not explain what SCons is but you can think it as a improved,cross-platform substitute for Make utility implemented in Python. ZFS-FUSE has been packed with SCons so you need to install SCons rpm first. You can download SCons rpm by clicking here (If you have any problems, click here to go sourceforge SCons download page). If everything is fine, you are ready to play with zfs and apply any demonstrations mentioned above or you find on internet.